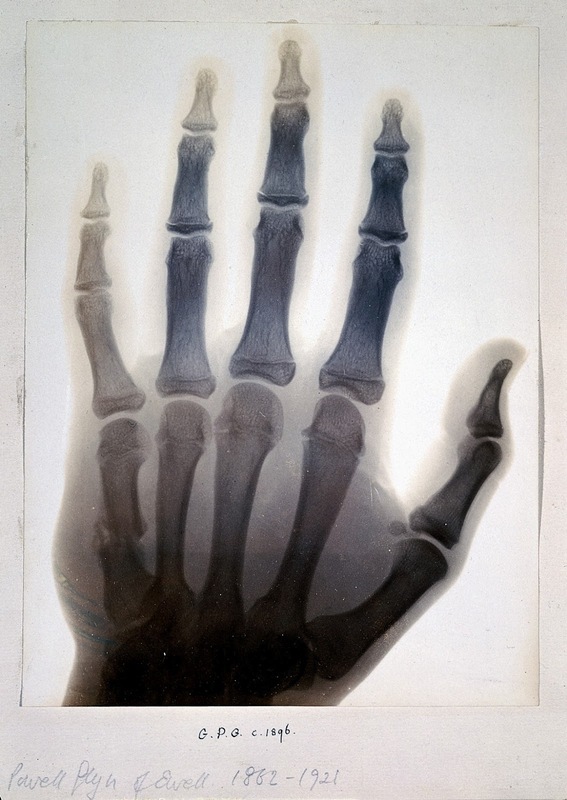 X-rays by Sir Gervas Powell Glyn, Bt. The news spread very quickly. 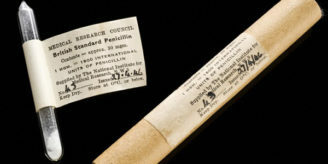 In many countries, chemists and physicists, both professionals and amateurs, tried to replicate Röntgen’s methods and results, and succeeded. One of these enthusiasts was an English country gentleman, Sir Gervas Powell Glyn, 6th baronet, of Ewell in Surrey. The Glyns had been landowners in Ewell since the mid-eighteenth century. Their wealth derived from the bank known at different times as Glyn, Mills and Co. and Williams and Glyn’s Bank. Gervas Powell Glyn (1862-1921) was educated at Winchester and New College Oxford, and devoted his life to travel (in Ceylon, India, the Straits Settlements, China, Japan, British Columbia, Alaska, United States, New Zealand, Australia, Tasmania, Egypt, Syria, Tunis, Algiers, and Europe), playing the cello, art, translating Lieder, collecting antique musical instruments, and eccentric behaviour. 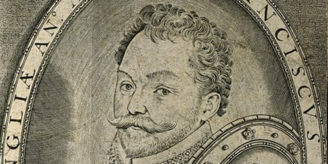 A commemorative album now in Surrey History Centre was compiled by his sister Margaret after his death. It contains photographs of him; watercolour paintings, writings and music by him; and photographs of his collection of antique musical instruments. 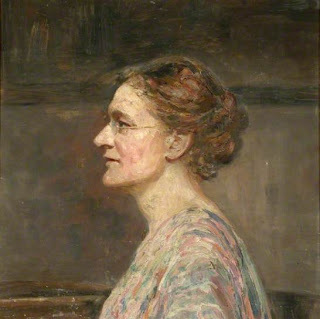 Helping us to visualize the Glyns themselves, the Your Paintings database includes portraits of both the 6th baronet and Margaret, preserved in Bourne Hall Museum at Ewell. The artists are unidentified. Above right is Sir Gervas in the 1890s. The British Library holds two slim volumes by Sir Gervas from 1911 with complementary and rhyming titles: one is Sun Dry Tales of Rocks and Dales and the other is Fresh Wet Tales of Seas and Pails. 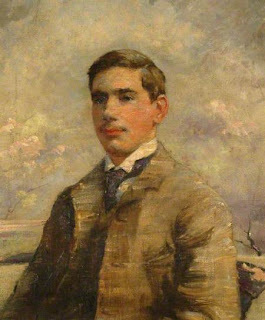 At an inquiry at Ewell before Master Ambrose, Master in Lunacy, on 30 January 1906, the physician George Henry Savage declared his opinion that Sir Gervas Powell Glyn was of unsound mind. One of Glyn’s eccentric pursuits was radiography. 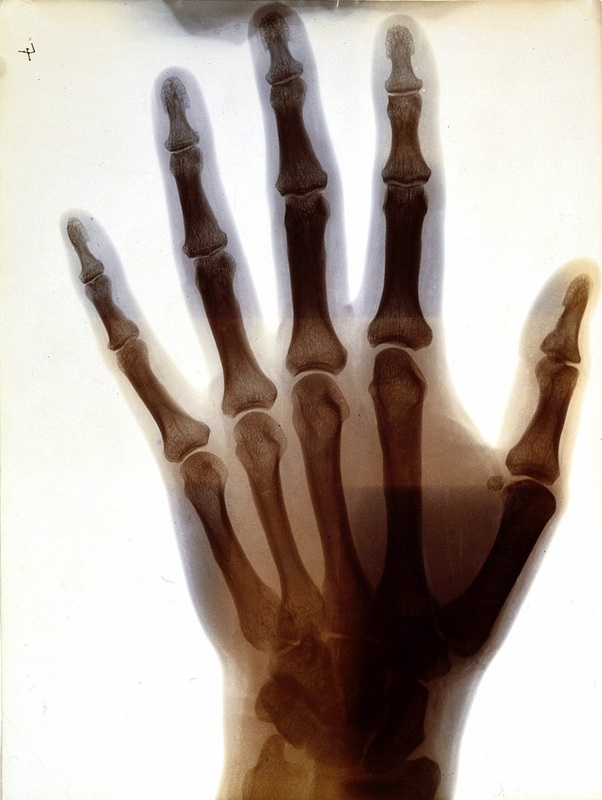 In 1896 Sir Gervas had set up an “X-ray installation” at the Rectory House (now Glyn House) in Ewell, and made radiographs of the same kinds of things as Röntgen: his hand, the hands of other people, metal objects inside a wooden box, and (more unusually) a mouse – not then the ubiquitous laboratory animal that it is today, but one all too easily obtainable in an old English country house. 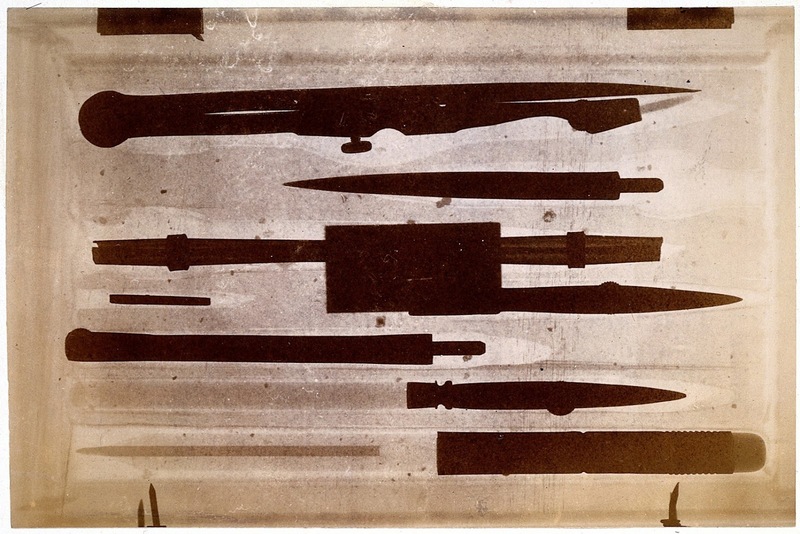 The radiograph on the right shows his own hand, inscribed “G.P.G. 1896”. One may be amazed at the superb quality achieved by an amateur. To the left is the hand of his sister, Margaret Glyn, inscribed “M.H.G. c. 1896”, and equally fine in distinguishing the bones from the flesh by colour, by contrast, and by gradation. Also like Röntgen, Glyn radiographed the contents of closed boxes. Below is his box of drawing instruments, photographed from the outside. 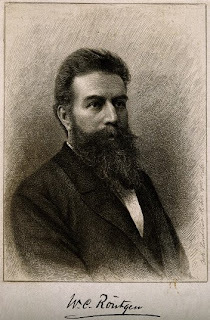 Herbert S. Klickstein, Wilhelm Conrad Röntgen on a new kind of rays : a bibliographical study, [Philadelphia?] : Mallinckrodt, 1966. Find in the Wellcome Library here.